Experience the luxury of a Chrysler sedan or van when you purchase a used Chrysler vehicle from Rochester Hills Chrysler Jeep Dodge Ram. You'll find well-maintained pre-owned Chrysler 200 and Chrysler 300 sedans, as well as used Chrysler Pacifica vans at our Rochester Hills, Michigan used Chrysler dealership. Give our sales team a call to learn more about the specific used Chrysler models we have available today, and to discuss the options you need for your lifestyle. We look forward to serving you. 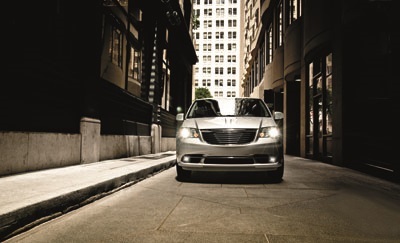 Find a used Chrysler model at your local Rochester Hills, MI Chrysler dealership. At Rochester Hills Chrysler Jeep Dodge Ram, we know our used Chrysler vehicles inside and out. That's the commitment to quality customer service you can expect when you come to our Rochester Hills, MI used Chrysler dealership! Every team member, from the front desk to the mechanics in our Chrysler service center, are standing by to help you on your car-buying journey. Get in touch! Financing a used Chrysler is simple when you come to Rochester Hills Chrysler Jeep Dodge Ram. Our Rochester Hills, MI auto finance department has a number of powerful financing tools at their disposal, including competitive rate used car loans, Chrysler lease options, and great values on trade-in Chrysler vehicles. Make an appointment today.